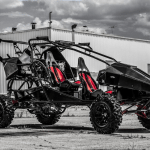 When you think of an all-terrain vehicle (ATV) the first thing that comes to mind is probably something like a four-wheeler, or maybe side by side such as the Can-AM Maverick X3. 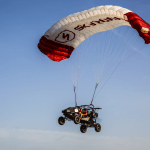 But there’s a new company called Skyrunner and they built something that will change everything we think we know about an ATV. 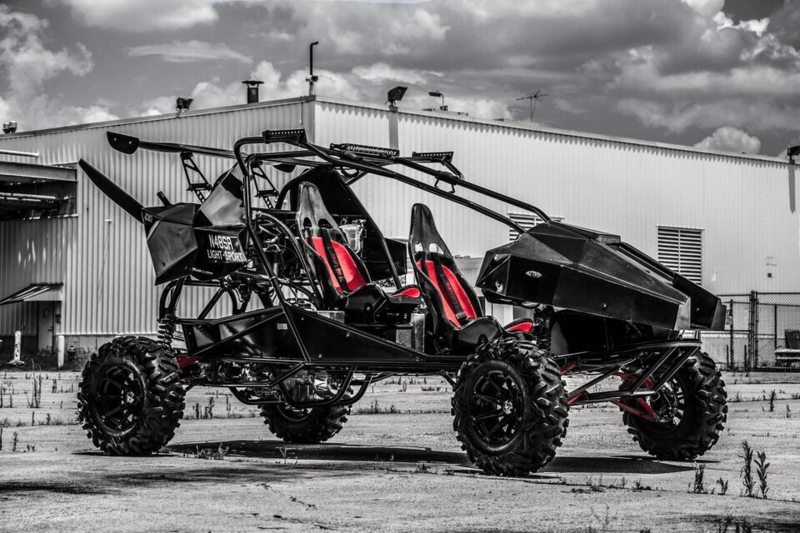 That’s because the Skyrunner will this do everything that a normal side by side will do, but it goes one step further. 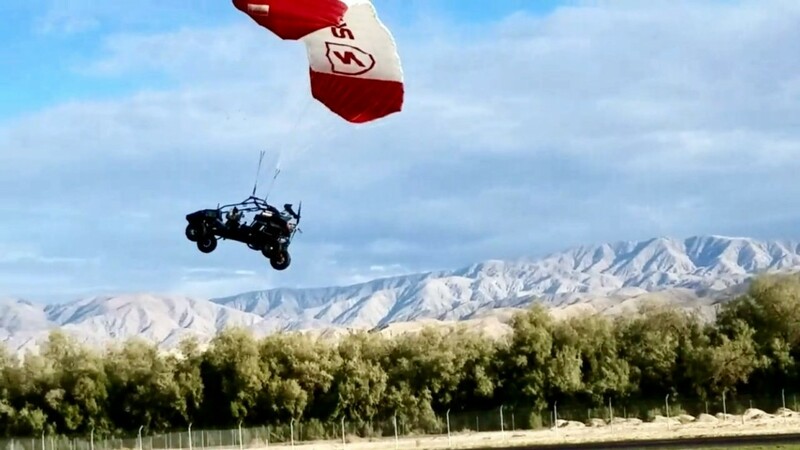 It can fly! 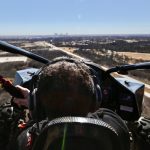 That’s right, not only will it hit 70mph on terra firma, but it can hit up to 40mph while being 10,000 feet off the ground. 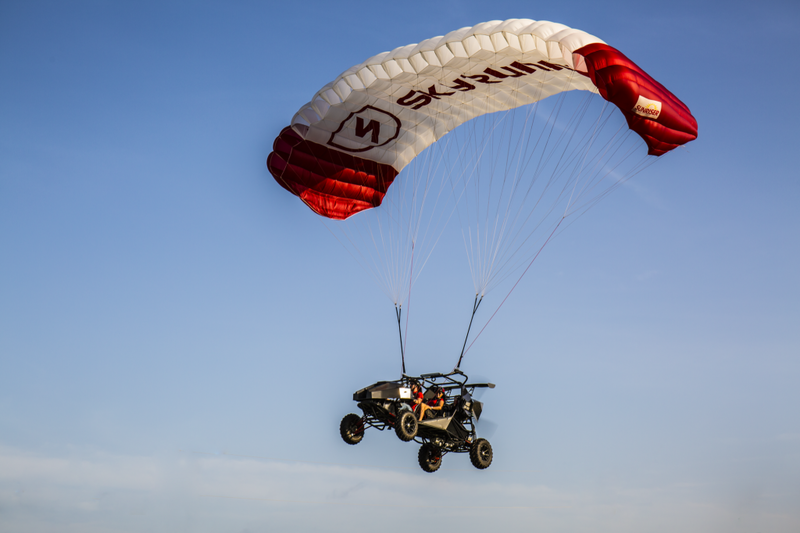 The Skyrunner flying buggy resembles a standard side by side with standard equipment you would expect to see on an offroad vehicle. It has aggressive Maxxis Bighorn tires all around to give you the traction you need. Front and rear double A-arm suspension with Fox Piggyback shocks to soak up the whoops. Providing the oomph to this wicked machine is the extremely durable and powerful Polaris Pro Star 1000cc engine, hence the 70mph top speed. Even if I stopped there, this thing would be a fun little toy to play with. But there’s obviously more. 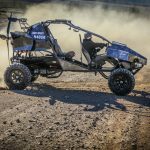 While the Polaris engine may be powerful, it’s not powerful enough. 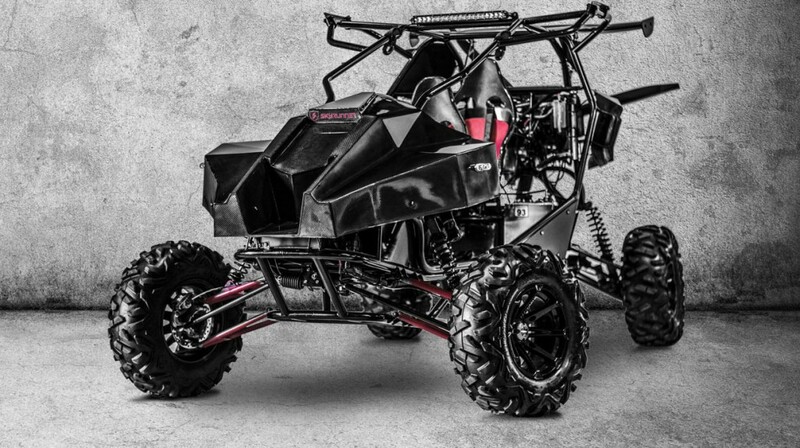 So Skyrunner decided to go with a dual motor setup. One for when on land, the other to handle the flying duties. 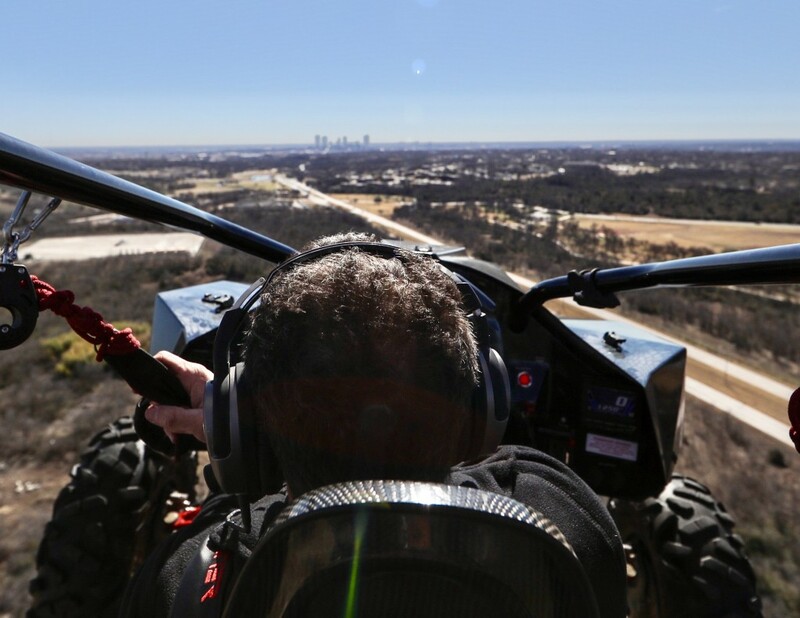 The Polaris handles all the ground work, but when it comes time to go out into the wild blue yonder, a Rotax 914 UL light-sport aircraft engine takes control. 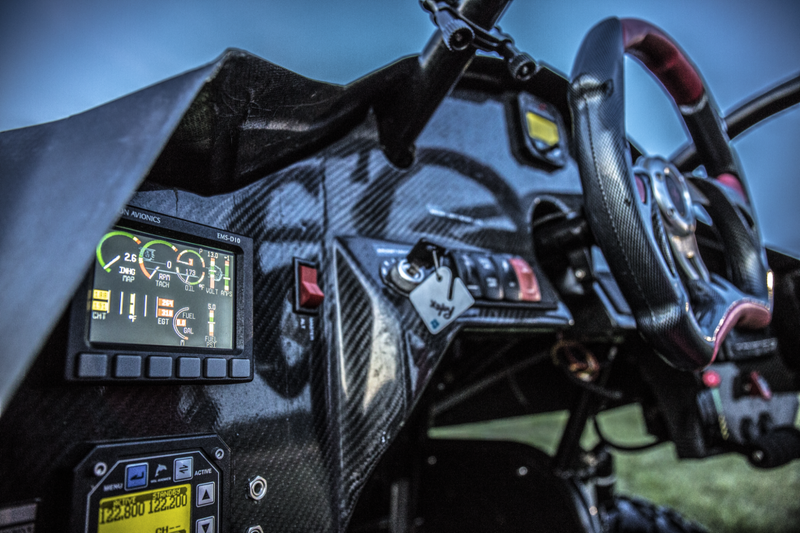 This Rotax engine is a turbocharged four-stroke, four cylinder engine that produces approximately 115hp. 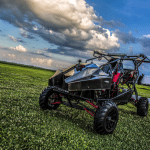 It’s extremely popular for small aircraft and military vehicles. For example, it’s the engine that powers the mighty Predator drone. This isn’t like something you see in movies where at the push of a button you suddenly take flight into the sunset. Instead, when you get the urge to fly like a bird you’ll have to pull over and take few minutes to deploy the parafoil wing. 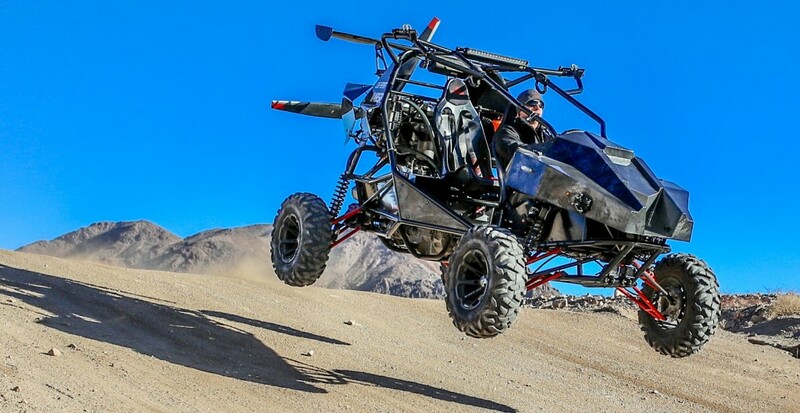 According to Skyrunner, this should take no more than three to five minutes depending on how many times you’ve done it before. 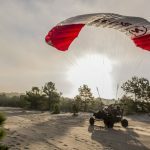 Once that’s up, you’ll just want to make sure that you have at least 450 feet of somewhat level ground so that you can take off and land. 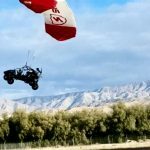 According to Skyrunner, this one of a kind vehicle has a range of 120 miles in the air and will double that when smashing around the desert floor. 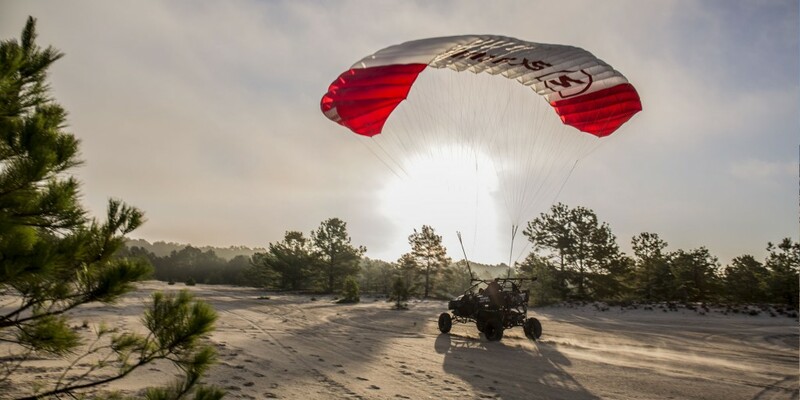 After take off it will climb at a rate of 465 feet per minute until you reach its maximum altitude of 10,000 feet. How about that for a spectacular view. 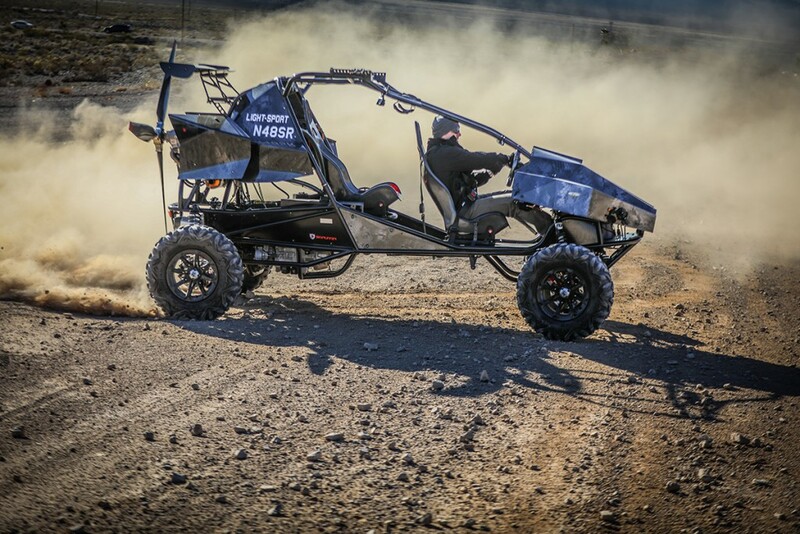 The best part is, you can learn how to fly the buggy after just 14 hours of flight training. 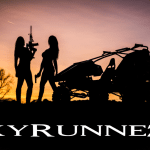 That’s all possible because Skyrunner simplified things as much as humanly possible. 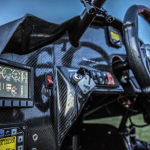 There are only two flight controls that you need to worry about. 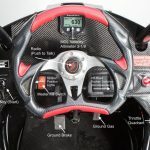 The left and right steering are done via handheld toggles and the gas pedal will control the climb and decent. The applications are endless for a vehicle like this. It could be worth its weight in gold for border security, law enforcement, search and rescue, as well as a whole list of agricultural jobs like farmers or ranchers. And when the work is all done for the day, you have yourself a badass toy to play with. 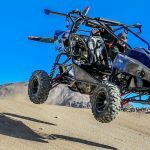 With the Skyrunner being this capable, user-friendly, and badass as it is, you know it’s probably not going to be cheap. 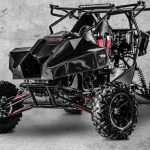 The fully loaded Maverick X3 will set you back just over $30,000, so it’s definitely going to be more than that. However, how much more might actually be a bit of a shock. 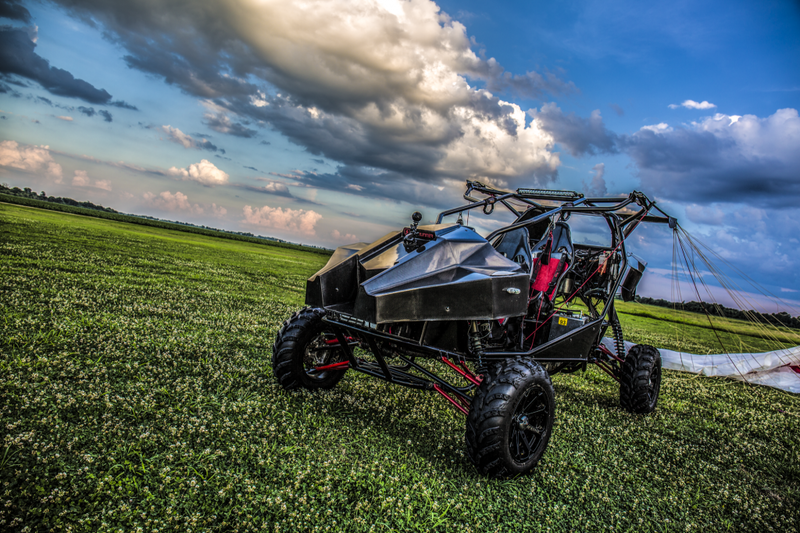 You can purchase a Skyrunner direct from the factory for $139,000. That may seem like a ridiculous amount of money for a side by side, even if it does fly. But when you stop and think about it, that’s a fraction of what it would cost to own a helicopter or airplane. And you can’t take either of those out and for a session at the sand dunes or up on the mountain trails.